If you've been looking for a break but can't break away from work for too long, why not take a short weekend retreat within Malaysia? What's more, these gorgeous resorts won't require you to exchange comfort for nature. 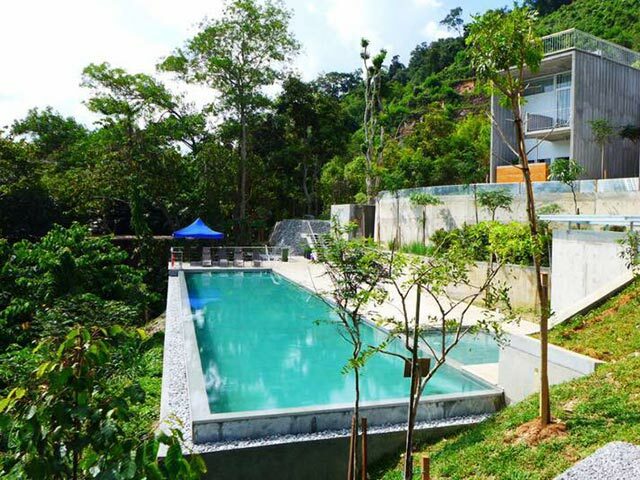 Built in the heart of the Berembun Forest Reserve and on natural terrains, The Shorea is an architectural beauty as it's mostly constructed from recycled shorea—it's a genus of rainforest trees—timber. There are paths leading to a jungle stream and even a waterfall but if you're not feeling adventurous, the resort has gorgeous pools set against an equally gorgeous backdrop of the forest. 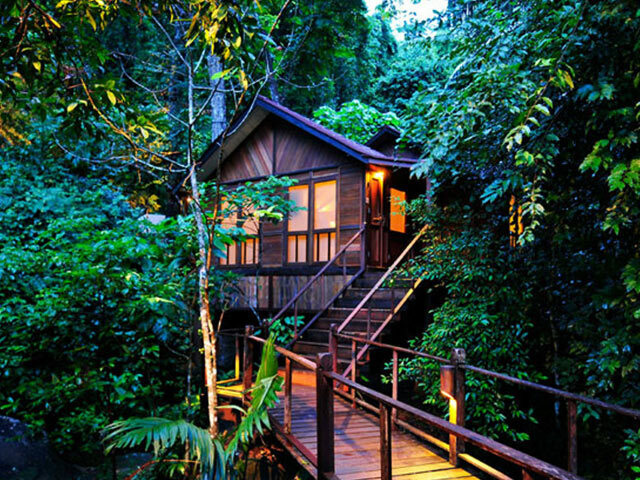 Situated in the same forest reserve is a small eco resort on a durian orchard. Sitting 800 feet above sea level with the cool breeze from the Titiwangsa Main Range, you will probably feel pure bliss from the fresh air, scenic views of the hills, and the peace and quiet (except for the cheerful songs from the birds, which are usually welcomed by guests). 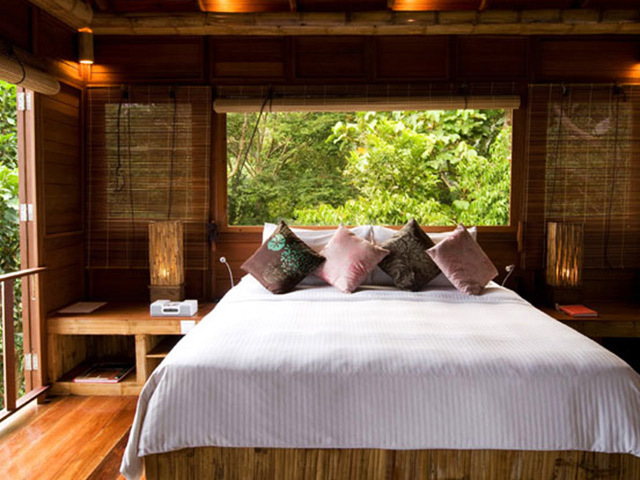 Enjoy both privacy and quality time as The Dusun has five fully equipped bungalows and eco-friendly activities which includes jungle-trekking to the waterfalls, bird-watching and a trip to the orchid farm. Oh, you can also get a massage. At Japamala, the rooms are called 'Sarang', which means nest. It makes sense considering how their series of wooden houses, hillside sarangs and beachside villas were designed and built around the resort's natural landscape. 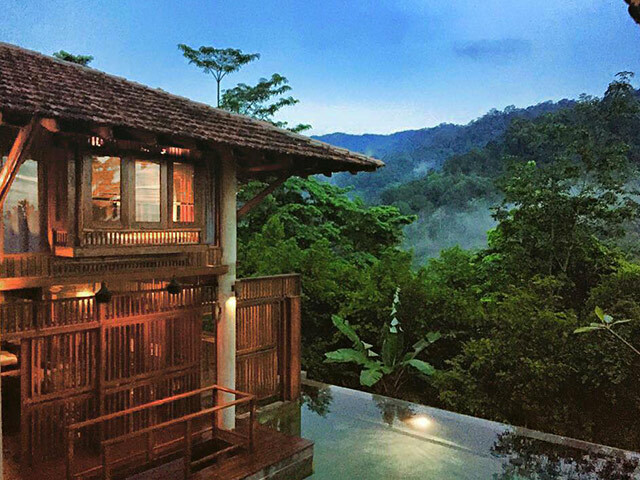 Many of them come with private plunge pools and wooden sun decks, and are fully air-conditioned and while both the Hillside Sarang and Jungle Luxe Sarang are a treat, it's the Treetop Chalets that will give you a truly different experience. Set in the midst of a tropical paradise on Pulau Banding, the Belum Rainforest Resort is a perfect getaway destination for relaxation, gorgeous surroundings and nature adventures. Besides probable sightings of Malayan tigers, tapirs and Asian elephants, you can also spot the Rafflesia there all year round. 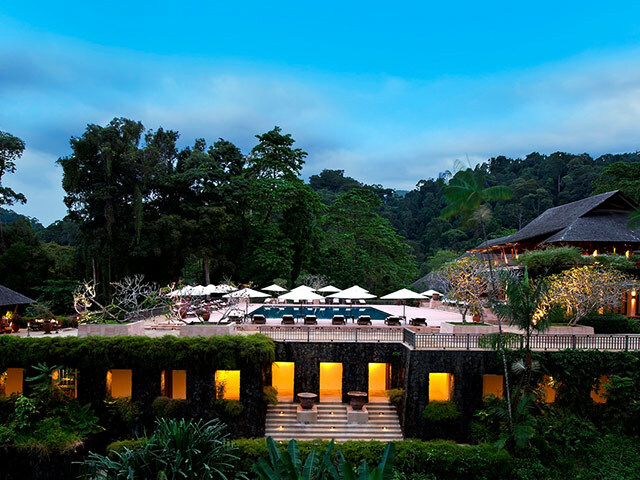 Fun fact: The five-star resort is practically at the doorstep of the 130-miilion-year-old Belum-Temengor Rainforest, which is one of the oldest rainforest in the world. It's not just about the beaches at Malaysia's favourite island getaway. 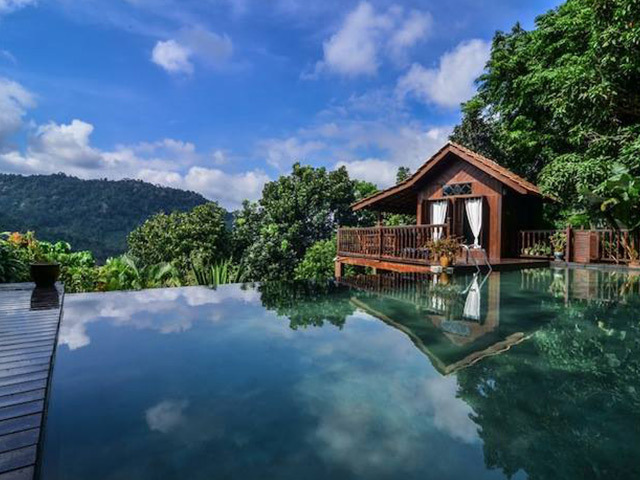 Nestled in the thick rainforest of an isolated area sits the luxurious Datai Langkawi that offers stunning views of both the forest and the Andaman Sea. The details within the resort are impeccable but venture outside your villa or rooms and you'll find lush greenery and rich wildlife.